Due to the difference between different monitors, the picture may not reflect the actual color of the item. Material:Synthetic Leather. and best wishes! High quality in E U and US quality standard. Guanti invernali a maglia. Protegge le mani dal freddo e le tiene in caldo. 1 x paio di guanti invernali. Durante tal periodo, vi preghiamo di essere con pazienza perché ci impegniamo a risponderVi il più presto possibile. Le 02-nov. -17 à 20:25:17 Paris, le vendeur a ajouté les informations suivantes Length:24 9cm. Item NO:74902. Thin silk inner gloves for comfort and warmth, with smooth feel and thin enough to go under existing gloves. 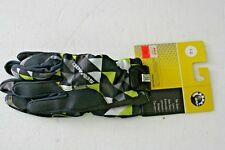 - Perfect for skiing, motorcycling, hiking, running and jogging, photographing, fishing, shooting and ideal as glove inserts under ski gloves, winter gloves or mittens. Material: Knitted. Knitting winter gloves, protect your hands from cold condition and keep it warm. Type:Half Finger. Item Type:Gloves & Mittens. Palm Circumference(Approx.). Comfortable to wear. Color: Black. 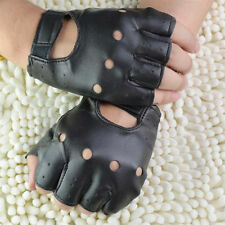 High quality super soft leather gloves. Quality stitching with elasticated cuff and fastening for a perfect fit.